St Boswells bounced back from defeat last week with a fine lower order batting performance to make it three wins from 6 this season with a 54 run success over Largo who travelled a man light. In a basking St Boswells sun captain broom won the toss and decided that St Boswells would bat first with the opening pair of returning Hornigold and Laidlaw. St Boswells got off to a shaky start mainly due to some tight swing bowling from both ends and some brilliant catching from the visitors. Laidlaw was first to fall for 0 bowled by opener Scott. Stephen Broom was next to fall this time off the bowling of Mowat as Rintoul took an excellent catch to dismiss Broom. Hornigold was next to go as the swing bowling continued this time taking the top of off stump and leaving St Boswells struggling on 11 for 3 and in a spot of bother. However top scorer Paterson pulled St Boswells out of the struggle with a much needed 29, by the time Paterson had gone he had managed to raise the score to 60 for 7 as Jordan broom (lbw 3) Marshall bowled for 10 and Flynn to an excellent caught and bowled take for 0. The fall of Flynn brought about what the good number of former players supporting had come to see, the return of David “scrog” Shiel to the St Boswells team. Shiel was joined at the crease by Elms and the pair put on an excellent partnership of 30 with both playing some classy shots whilst ticking the scoreboard over. The partnership was broken when Shiel skied a catch and he was dismissed for 21. Chambers then came to bat for the first time this season and he and Elms put on another excellent partnership of 35 with a few boundaries but mainly working the field picking up some sharp singles. Elms was to be the man that fell going for 22. Chambers and Borthwick put on 20 before chambers tried going for one more big swing missing and ending up stumped with a score of 25 leaving Borthwick the not out batsmen and St Boswells 149 all out from 36.2 overs. After tea St Boswells looked to attack quickly and pick up early wickets and it was to be Elms who got the breakthrough in his second over with a fine straight delivery bowling Mowat. The openers Elms and Marshall kept working but were unable to pick up the next wicket until the 9th over when Elms in his 5th and final over picked up his second as Warrender shelled out to chambers leaving the score 23 for 2. Elms finished with 2 for 13 from his 5.. Marshall unfortunately ended wicket less with 0 for 16 from 6 overs but bowled well backing up Elms .Joseph Flynn and Stephen Broom were next to bowl and both bowled again tight. Flynn bowling possibly too well continually missing the outside edge by whiskers. The pair would only go for 26 runs between them for their 16 overs but amazingly only picking up the one wicket which came in Brooms 7th over knocking over the off stump of the batsmen leaving himself with figures of 1 for 10 off 8 and Flynn with 0 for 16 off his allocated overs. Next wicket came from a superb piece of Paterson fielding as the batsmen worked hard to get back for a second paterson quickly gathered and the wicket was taken to leave the fife side staring at defeat on 75 for 4 after 30.3 overs. Laidlaw was brought on to bowl and went for 9 off his first over as the batsmen looked to open up. next over he picked up his first wicket bowling Baddelley who batted well for a hard fought 39. Jordan broom bowled well at the opposite end picking up 1 for 18 off of 5 with the wicket of Rintoul bowled. Laidlaw continued to bowl at the village end picking up Scott and Coates caught behind by sharp keeper Ryan Borthwick. Whilst Paterson and Shiel were given overs at the Selkirk end it took until the last ball of the innings for Laidlaw to trap Filsell LBW leaving Largo 95 all out laidlaw with 4 for 14 and St Boswellls a 54 run victory. Saturdays match ball was sponsored by St Boswells mowers who we thank for their continual support. Lots of people think that Cricket Clubs only exist in the summer, when the grass is dry and the days are balmy, with the melodious thwack! of willow on leather reverberating across the pitch as the spectators sup beer and gnaw on cucumber sandwiches, with one eye on the clacking scoreboard. In the winter the grass squelches, the wind blows and the sounds across the pitch are largely the spray of lorries on the A68 and the cackling of crows feasting on worms. But hark! What is that in the clubhouse window? Some lights, some music, people chatting around the bar and the warmth of an overworked gas heater keeping peoples’ coats off. It’s not all cricket at St Boswells Cricket Club. Although on 1st January, it is. It really is – since, well you’ll have to ask Jocky or Roy when it all started, but the New Year match between, approximately, the Buccleuch Arms Hotel and St Boswells CC is something to behold. This year the rain took hold, so while the majority of people were packed into the clubhouse, 15 (or was it 16) fools took to the (artificial) pitch and had a fine old time. And then there’s all the stuff that goes on behind the scenes. Already we have a full list of fixtures sorted out for the senior teams; the junior section is in the process of being rejuvenated; the finances are audited and meetings take place; funding is being sought for a new artificial pitch and clubhouse extension; an overseas player is being arranged…and some people even take to the nets when the sun shines. There is a lot of hard work that goes into running a sports club, and we need all the help we can get – so if you have a bit of time then we would love to hear from you. Email secretary@stboswellscricketclub.org to find out more. 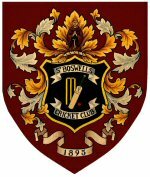 St Boswells Cricket Club Annual General Meeting is taking place on Friday 22nd November at 7pm, at the Clubhouse, The Green, St Boswells. All members are welcome to take part and discuss important matters related to the club. Please send agenda items (no AOB on the night) to secretary@stboswellscricketclub.org. The current Chairman is retiring from the post, so we need a person who is willing to formally represent this successful and exciting club, and chair meetings. The position is not time-consuming – the club is run on a day-to-day basis by other officers – but vital in ensuring the club has a strong direction, so having an interest in the success of the club is important. Please call Keith on 01835 822692 or email as above if you would like to be considered. All other officers as well as the management committee are also up for election at the meeting. July and early August was not a good month for St Boswells 1st XI, having lost 4 of our 5 games – admittedly with a few injuries affecting the attack, but some poor batting not helping. As the end of the East League season approached, the drop to Division 2 wasn’t likely, but was certainly a slim possibility. With this in mind, we really had to pull our socks up and produce some special results. The two games scheduled for the 17th and 18th August began with some trepidation as we travelled to Dunfermline on Saturday with the rain falling in sheets as the team bus crossed the Forth Road Bridge. Play was delayed but the sun eventually came out and the covers came off, St Boswells won the toss and choose to bat as the game was reduced to 35 overs per innings. Scott Ruthven and Rich Young started steadily, with Young especially despatching the bad ball for boundaries. Two quick wickets came with both openers falling to Norman. Steven Broom and Elliott Ruthven quickly built a sensible partnership to take the score to 110, however Broom fell, caught on the boundary, two runs short of his half-century. Ross Graham entered to try and see the team to a defendable total. He and Ruthven batted sensibly, hitting the bad balls and taking quick singles. Ruthven soon fell, and with Craig Paterson lasting only one ball, Scotland international Kathryn White came to the crease and she and Graham both took boundaries and singles when the opportunity arose. Ali McIlroy joined Graham after White was caught in the covers, and the two proceeded to take St Boswells’ score 187 for 6 wickets. After an enjoyable tea Dunfermline began their innings in the sun, however bowlers Rory Elms and Elliot Ruthven quickly pegged the batsmen down with aggressive bowling. Elms struck first with the wicket of Asaduzzaman for a duck, and Ruthven joined him in the wickets column soon after. With rain approaching St Boswells rushed through the overs to ensure a result was achieved, and play was stopped when the rain dutifully fell after the 21st over. However the weather did not last long and the players returned. Young, White and Broom bowled well and took important wickets thanks to some tight lines, some sharp stumpings by Graham, and excellent catching by Paterson and McIlroy. With Dunfermline nine wickets down, Paterson came on to take the final wicket with his fifth ball and ensure St Boswells took the maximum 20 points for the game and a celebratory journey back home via Edinburgh. On Sunday St Boswells hosted Eastern Knights Under 18 at the Green and again the match was affected by the weather. Some early showers allowed the match to begin 25 minutes late and reduced to 45 overs per side. St Boswells’ captain Steven Broom again won the toss and again chose to bat on a soft wicket with moisture in the air. Elliott Ruthven and Ross Graham opened with attrition as Eastern Knights’ openers Adams and Khan hit good areas on a difficult batting pitch. Ruthven fell quickly, and Graham soon after, to bring Broom to the crease, joining Austin Lockington with St Boswells on 41-2 in the 13th over. Eastern Knights’ first and second change bowlers continued to bowl tight and pick up the wickets of Craig McNeill, Scott Marshall and Craig Paterson. Lockington capitalised on bad balls to get to his half century, however he was soon caught on the boundary with St Boswells on 104 for the loss of six wickets. James Gillan and Scott Hunter fell quickly, but Gavin Deans stoically saw the team to 143 before Rory Elms was caught to give Eastern Knights a target of 144 for victory. As the second half began with the wind blowing fiercely in from the South West, opening bowlers Scott Marshall and Elliott Ruthven were miserly as batsmen Acheson and Carmichael found it difficult to score. Eastern Knights continued to lose steady wickets as the run rate began to increase, and St Boswells started to pile on the pressure after a dropped catch by Scott Hunter was quickly picked up and thrown for a direct hit to run out Eastern Knights’ skipper Aslam. Acheson, however, thought otherwise and rode his luck on a number of occasions as the momentum started to shift in Eastern Knights favour as they continued to pick up important ones and twos to keep them in the game. St Boswells were still the favourites when Elliott Ruthven came on for his second spell to try and put pressure on Eastern Knights’ lower order. However the change proved a turning point in the momentum of the game. Some quick bowling from Ruthven took the edge of the bat only for the ball to deflect of the glove of the diving Graham onto the nose of “Bossils” captain Broom. As the bloodied captain left the field to visit the BGH with a broken nose, St Boswells found themselves with only 10 men on the park and Eastern Knights slowly creeping towards their target. As the game entered the final over Eastern Knights were 139-8, needing five runs for victory. Gavin Deans took the ball for the final over. The first ball went for no runs, however the batsmen were able to scamper a single off the second. A good shot off the third went for two, taking Eastern Knights to 142 with 3 balls to spare. Deans’ nerveless bowling took the wicket of Simpson, and with two balls to spare Eastern Knights were nine wickets down needing two runs for victory – and all possible results possible. Eastern Knights’ number 11 Khan drove the next ball to mid off and called Anderson through for the single, however Elliott Ruthven was calm in the ensuing chaos and expertly threw down the wickets to run Khan out, winning the game for St Boswells by 1 run. With a 100% record from the weekend, St Boswell will hope that they have done enough to remain in Division 1 in their first year; and as they host Holy Cross at the Green this coming Saturday, the villagers will hope to end their season on a high note. To add to the efforts of the 1st XI, St Boswells Ladies made the long trip to Dumfries, short of players, but with a keen desire to win this vital league and cup match. A couple of sparkling batting performances by Scotland internationalists White (83*) and Waldie (50*) in just 20 overs, for 2 wickets, made the task of Dumfries extremely difficult. Tight bowling and fielding by a determined St Boswells team, despite the gaps in the field, meant Dumfries were restricted to 100 for 5. This leaves St Boswells in the semi-final of the Scottish Women’s Cup, to play Carlton in what will be a tough match. It’s been a busy time for St Boswells teams, but certainly not without interest, and with some very respectable results overall. Unfortunately there have also been some dramatic and disappointing losses, which makes it clear that we have a bit of work to do in certain areas. Here’s a summary from the different teams. 1st June saw us play Grange 2 – a team only not in the National Leagues by virtue of the 1st XI already being there – at Grange, missing star batsman Scott Ruthven, and suffering, having been given a challenging (make that next-to-impossible) score of 276 to win. The sheer class of Grange showed through, but going from 70-4 to 71-9 (Scott Turnbull injured while bowling) probably qualifies as the most dramatic batting collapse in St Boswells’ history. On 8th June, a threadbare Dunfermline team arrived to beautiful weather, and the need for 3 more players! Supplemented by a St Boswells fielder and a couple of travelling stand-ins, St Boswells nevertheless faced some decent bowling, making the astonishing score of 313 for 1 all to our credit. A blistering century by Stephen Broom finished off an innings started by an opening stand of 150. Dunfermline never looked likely to get near, being all out for 102. A much more evenly matched pair of teams met at Holy Cross on July 15th. This was expected to be tight, but a, as it turned out, match-winning innings of 114 from Scott Ruthven, accompanied by some handy knocks elsewhere, left St Boswells on 233 for 5. Holy Cross battled as best they could against some wonderfully accurate seam bowling from Rory Elms, Elliot Ruthven and Kathryn White, but it was left to Chinniah Prabhakar to mop them up with a final analysis of 4 wickets for 16 runs, leaving HX all out for 152. At this point it looked as though St Boswells were heading towards bigger things. Back to back away and home games against league leaders Carlton 2 took place on 22nd and 29th June. The weather was the clear winner away from home, with a mere 8 overs being bowled before the captains decided tea was to be the day’s highlight. The home game was even more unfortunate – 5 key first team players missing to holidays (next time, synchronise diaries, guys) and a few others meant debuts for 2 of the (ahem) more recreational players. Considering the attack available, Carlton were held to a creditable 208 for 8, with Scotland Womens star Kathryn White being the key bowler. Victory was possible until a collapse in the top order left only keeper Ross Graham able to gain any credit, and St Boswells all out for 116. Hawick and Wilton play their 1st XI in the Border Sunday League, which means they should have been a tough proposition on June 2nd. As it turned out, St Boswells had a far stronger side, but still a genuine 2nd XI. Elliot Ruthven was a towering force in the St Boswells innings, batting first, reaching 119, and almost carrying his bat, including 17 fours. He was accompanied on his journey by a rampant Scott Marshall, who hit 61 in the blink of an eye, and an impressive young Joseph Flynn, scoring 36 on his debut. The score of 259 was a wall for Hawick to scale, and with impressive bowling from all the St Boswells regulars, along with Thomas Goodman’s unhittable deceptors, they could only manage 118 for 6. Sadly, that was all the “A” Team action from June, with a Sunday left free for a great Village Week rounders match, and Selkirk being unable to field a team at home, which doesn’t bode well for the Border League (Kelso having already pulled out during the season, and Melrose beforehand). There have also been a few very entertaining 20/20 games, which take place on Thursdays. Both Kelso and Hawick were soundly beaten in June, but Gala bit back, leaving St Boswells somewhere near the top of the league, with a few games still to go. It’s been a season of big changes for the Ladies Team, having lost quite a few key players to universities, other parts of the country and national duties. This has been balanced out by the joining of quite a few very young players, along with the improvement of others, plus latterly the promise of more senior players creating a potentially good squad for coming years. There have only been two games in June, both National League matches. The first at home, saw a very well turned out Ayr team – much improved from last year – providing good competition for St Boswells, but unable to match both batting and bowling. 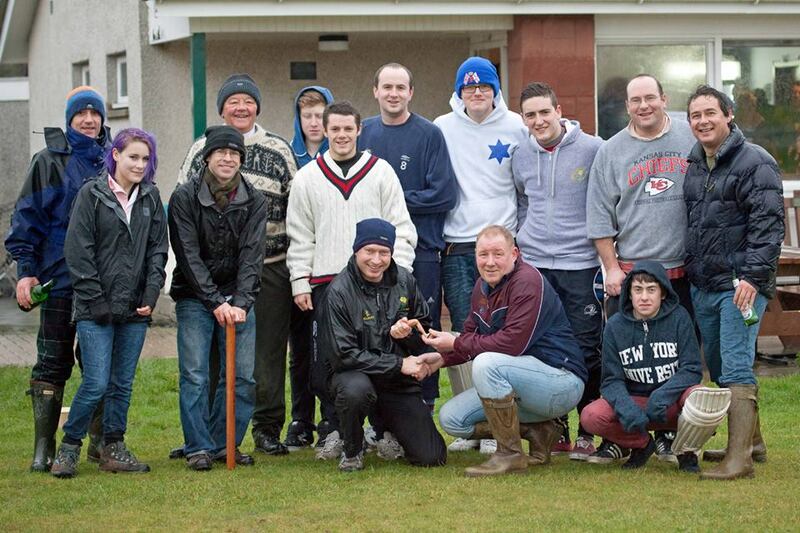 It was great to see our younger bowlers, despite their inexperience, take wickets and restrict Ayr from coming close. The second match, on a rain-interrupted Sunday at Carlton, was a different proposition. With players missing, and a Carlton side all of university age or older, the result was never in doubt. However to see three young St Boswells players bat for the very first time on such a hallowed ground, was wonderful – and a good time was had by all.